One Piece Chapter 863 Release Date and Spoilers: Sanji And Katakuri Faceoff In Next Week’s Manga Segment? 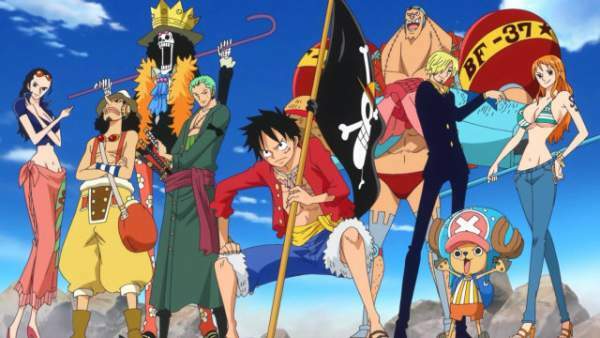 One Piece Chapter 863 Release Date & Spoilers: One Piece 862 has already released which gave the fans strong hunger of seeing the next chapter ASAP. The previous section was full of surprises and entertainment. Big Mom tried to kill Sanji but failed. Even Commander Katakuri missed the shot to assassinate Sanji. Lady pudding was seen with some change of thoughts. At the end of the chapter, Luffy along with his multiple clones jumped out of cake. And now it is expected by him to go against Commander Katakuri in next segment. In OP chapter 862, Sanji and lady Pudding were getting married. Pudding was waiting to kill the groom, but then something happened and she revealed her third eye in front of the groom. Pudding was expecting the terrified and scared look of Sanji but the pudding was surprised after seeing Sanji’s reaction. In place of getting terrified, the cook of straw hat pirates complimented her as he thinks the third eye is only increasing her beauty and called her beautiful. Check: Fear the Walking Dead Season 3 Release Date. This compliment melted lady Pudding’s heart and she started crying as she had never received any such compliment ever. Pudding, later, told Sanji about how she was always bullied and hated by her own mother, Big Mom as she was scared of her third eye which later caused to Pudding hiding her third eye in her hairs. He, then, made lady Pudding believe that it’s beautiful. Though lady Pudding was determined to kill Sanji but now after all this, she started to give it a second thought.after seeing all this Big Mom ordered a priest to kill him as she thought she won’t do it but he dodged it. Commander Katakuri also tried to shoot Sanji but all thanks to Sanji’s observation Haki,h e dodged it too.what Katakuri did serve as a signal for the straw hat pirates and then Luffy along with his multiple clones jumped out of the cake. Now in next chapter, Katakuri and Sanji are expected to fight against each other. Katakuri is a brilliant fighter so it would be interesting to see Sanji fight against him. Hopefully, next chapter will reveal lady Pudding’s further planning about whether she’ll kill or help him out to escape. One Piece 863 will release next week. Keep visiting TheReporterTimes for latest manga news and entertainment updates around the world. It is confirmed the 10 friends of Luffy under Straw Hat. Jimbei – It is confirmed on Chapter 863 that he will join the crew. He had a dream to make fishmen and people on land as one. On Fish Island arc, Jimbei was invited by Luffy and Jimbei decided on Whole Cake Arc. Ceasar – He had the dream to be the greatest scientist and surpass Vegapunk. He has been in the straw hat since Punk Hazard arc until on Whole Cake arc. Ceasar has no way else to go but to be with the straw hat and immediately Luffy would accept Ceasar as part of the straw hat. He will be a great help in the future making inventions. Usopp was the shipwright and inventor but replaced by Franky and soon be replaced by Ceasar as their inventor. Ceasar will create weapons for the straw hat, Nami will be very happy. Ceasar will be the 10th member. Thanks for reading. Carrot will be the 10th nakama, definitely not ceaser why luffy shows no interest in I’m what so ever.